"At some point, I would like to find the right time to leave politics," Angela Merkel said. "That's a lot more difficult than I had imagined. But I don't want to be a half-dead wreck when I leave politics." The comments came in response to a question about her life goals outside of politics way back in 1999. Merkel had just become secretary-general of the Christian Democratic Union (CDU) and sat down for an interview with the photographer Herlinde Koelbl for her book "Spuren der Macht" (Traces of Power). That was also the year in which Merkel's rise within the CDU began, along with the almost revolutionary restructuring of the party. In subsequent years, Merkel jettisoned so many traditional CDU positions that it is more accurate to speak of a re-founding of the party than a process of modernization. Many conservatives have since been unable to recognize their old party. And all the while, discomfort with Merkel's leadership continued to grow, year after year, within the Christian Social Union (CSU), the CDU's Bavarian sister party. Since fall 2015, when almost a million people arrived in Germany as a result of Merkel's liberal refugee policies, this discomfort has mutated into open rejection. And now, in June 2018, the CSU has had enough, even if there isn't currently an obvious trigger for their vexation aside from approaching Bavarian state elections scheduled for mid-October. They would like to see the immediate end of the Merkel era -- there is really no other way to interpret comments made recently by CSU party leadership. And to achieve that goal, they are prepared to sacrifice the decades-long partnership between the two conservative parties. "Merkel's political approach has reached the end of its tether," says a CSU parliamentarian. Discussions about Merkel within the CSU are characterized by rage and malice. And CSU leader Horst Seehofer is threatening to defy Merkel's constitutionally guaranteed power to determine policy guidelines. Formally, the chaos we are seeing in the German political landscape these days stems from just one of the 63 items on Seehofer's so-called "masterplan" for reforming refugee policy: his call for people to be turned back from the German border if they have already applied for asylum or been registered as a refugee in another European Union member state. For quite some time, the CSU itself seemed unsure as to exactly who it wanted to turn away at the border, but the main thing was to take a tough line. Merkel, meanwhile, views such a policy as the kind of unilateral German move that she would like to avoid. She insists that there must be a "European solution," by which she means a reform of EU migration policy negotiated with all of Germany's European Union partners. In truth, though, it's not about that one item on Seehofer's list. The CSU would like to put an end to the refugee policy that is closely linked with Merkel's name. If Seehofer and his party fulfill their promise to soon begin turning people back from the border -- on which no senior CSU politician leaves any doubt -- then Merkel would only be left with two options: that of abandoning her own convictions or of consummating the break between the CDU and CSU. Ironically, it is Merkel's own sister party has triggered the most significant political crisis in her almost 13-year tenure as chancellor. It remains unclear how it will end, but chatter about the chancellor's potentially imminent demise has now become a constant at every water cooler in Berlin. In hindsight, it seems as though the conflict we are now seeing between the CDU and CSU is but the logical final act of a link that has always been slightly neurotic, but which transformed into open distrust and even hate since the fall of 2015. The steady stream of "compromises" on refugee policy could only briefly conceal just how bad the atmosphere had become in this partnership. These sister parties haven't been friends for quite some time. According to a survey commissioned by DER SPIEGEL, the majority of German citizens believe that the CDU and the CSU should split and go their separate ways. And if that were in fact to happen, and there are plenty of indications it might, it wouldn't just be the end of Merkel's tenure. It would also herald the end of a party system that has shaped Germany for the last 70 years and provided a fair degree of stability, particularly when compared to Germany's neighbors. And it would mark the beginning of a government crisis: It seems unrealistic to expect that the CDU and SPD would stay in power as a minority government or that they would bring the Greens on board to replace the CSU. At SPD headquarters in Berlin, preparations are already being made for new elections this fall. Merkel still has a week to avoid the break. She hopes to be able to come up with her "European solution" to the refugee problem by July 1, the CSU having opted to give her a brief respite even though there are some in the party who argued against doing so. The way the chancellor is being pushed around by her sister party these days has degenerated into an embarrassing political spectacle. Still, the chancellor has chosen to confront the challenge and is fighting hard to retain her hold on power. Or at least her hold on her office. But it is difficult to imagine how Merkel and the CSU leadership will be able to yet again arrive at one of those compromises that have repeatedly been exposed as nothing but a chimera over the years. The mutual mistrust in the two camps is simply too great. What is currently taking place in Bavaria and Berlin is unprecedented in the history of the partnership between the two parties. To be sure, there has been significant turbulence in the past, most famously in 1976 when the alliance almost broke apart for good. But the conflict today is deeper and more bitter. And far more is at stake. On Monday, the Shakespearean drama currently being staged by the two conservative parties was on full display. Following a crisis meeting between the two party leadership committees, Merkel and Seehofer held press conferences at exactly the same time to issue their latest threats against each other. Political partners generally try to avoid concurrent press events. Adversaries, however, do not. The result was that Seehofer in Munich had to be told by a journalist what Merkel had just said minutes before in Berlin. Namely that the question of turning back refugees at the border touched on her constitutional privilege to determine government policy. The journalist then asked what Seehofer, as German interior minister, had to say about that. Seehofer stopped short. "She didn't wave around her policy guideline competence when talking to me. That would be rather unusual between two party chairs," he finally said. It wasn't the only unusual incident of the past few days. Both Merkel and Seehofer called meetings of their party leadership committees to ensure they had the necessary support in the conflict between the sister parties. Even before the CSU meeting, of course, there had been little doubt that the party would back Seehofer. After he had sketched out the basics of his "masterplan" to party leaders -- a plan that nobody had seen aside from him and the chancellor -- Bavarian Governor Markus Söder, who has mounted a significant challenge within the CSU to Seehofer's leadership, made it clear that the CSU was determined to implement every single point of the plan. "There is no going back. That's what people are expecting from us," he said. At the conclusion of the meeting, former party head and honorary chairman Edmund Stoiber held another of his famously spirited addresses. He reminded his audience of the rise of the right-wing extremist Republikaner party in the 1980s, which, Stoiber said, was only effectively stopped by introducing significant changes to the country's asylum laws. The refugee crisis doesn't just represent a danger to the CDU-CSU partnership, he said, but also to social cohesion. The CDU and "that Ms. Karrenbauer," Stoiber said, referring to CDU Secretary-General Annegret Kramp-Karrenbauer, just don't get it. The leadership committee cheered and rollicked as if they were in a beer tent. At the exact same time, the CDU was meeting in Berlin -- a bit more subdued, but no less determined. The CDU can't simply accept everything the CSU throws at them, warned Merkel's deputy Thomas Strobl. It's about "the party's DNA," said Armin Laschet, the governor of the state of North Rhine-Westphalia. "You can't treat the CDU this way," called out Otto Wulff, head of the wing of the CDU representing voters over 60. Merkel has managed to present the conflict to the CDU as a frontal attack on her person, a characterization essentially consistent with how it is seen in the CSU as well. Doing so has guaranteed her the strong backing of her party, even if there are plenty who disagree with her on refugee policy. Following the press conferences, it was definitively clear that all attempts to defuse the conflict had failed. On the Thursday before last, ahead of separate meetings of the CDU and CSU caucuses, floor leader Volker Kauder of the CDU and senior CSU parliamentarian Alexander Dobrindt had met to evaluate the damage that had already been done. Dobrindt insisted that he didn't want to endanger the party alliance. "But that's what you are doing," countered Kauder. An additional meeting the next day also produced no results. Merkel and Seehofer also spoke on the phone and assured each other that neither would overrule the other. "Are you going to invoke policy guideline competence?" Seehofer asked when the conversation once again turned to the issue of turning back migrants at the border. "No, no," Merkel assured him. Only to do just that a few days later. An additional attempt at conciliation likewise bore no fruit. Bundestag President Wolfgang Schäuble, eminence grise of the CDU, requested a meeting with Seehofer, which took place in Schäuble's office in German parliament last Friday. Schäuble insisted to Seehofer that the CDU and CSU had to stay together, a position that Seehofer agreed with before then repeating his own position. Contrary to some within the CDU, the CSU leader didn't get the impression that Schäuble was interested in replacing Merkel and becoming chancellor himself. On Saturday, a rumor began making the rounds among Merkel's confidantes in the Chancellery that CDU parliamentarian Christian von Stetten of Baden-Württemberg was assembling a group of CDU lawmakers who were critical of Merkel's leadership in preparation for her downfall. Stetten indignantly denied the claims, but the incident shows that Merkel's team has become so rattled that they believe anything is possible. On Sunday evening, Merkel invited CDU leaders to party headquarters in Berlin. The group watched the World Cup match between Germany and Mexico together before discussing how to approach the party leadership committee meeting scheduled for the next day in order to secure necessary support for Merkel. Her plan to take two weeks before returning to the leadership committee for consultations was unanimously supported. Seehofer had already indicated to Merkel that the CSU would also give her two weeks. By Tuesday, though, Merkel had realized that the gesture was not the prelude to yet another compromise. At midday that day, she met with French President Emmanuel Macron just outside of Berlin. The Chancellery and the Élysée Palace had long been arguing about eurozone reform, but on this sunny June day, the differences suddenly vanished. Macron received the eurozone budget he had been demanding for so long and Merkel received Macron's assurance that France would help Germany on the refugee question. Macron had hardly left before the chancellor received a text message from Seehofer. "In the name of the CSU, I am requesting a coalition meeting to be held next week," he wrote. Seehofer was offended that he hadn't been informed of the deal with Macron in advance while Olaf Scholz of the SPD, as the senior cabinet representative of the conservatives' junior coalition partner, had been. Merkel tried to calm Seehofer down. Everything had already been discussed with the CSU, she wrote back. Only the SPD were still a potential problem. "I talked to Scholz because the SPD wanted a lot more than we did." But Seehofer wasn't having it. Just a couple hours after his text message to Merkel, the mass-circulation tabloid Bild published an article that made it sound as though the CSU was seeking to torpedo Merkel's deal. Both in Seehofer's Interior Ministry and in Merkel's Chancellery, preparations are being made for the coming battle, the endgame between the sister parties. Seehofer is preparing to hold a joint press conference in the coming days with the heads of the Federal Criminal Police Office, the Office for the Protection of the Constitution (Germany's domestic intelligence agency) and the federal police force. All three, he says, support his position. In the Chancellery, meanwhile, they are preparing for zero hour. Who says, the chancellor's team wonders, that Merkel has to wait until Interior Minister Seehofer orders that asylum-seekers be turned away at Germany's border. She could simply preempt him by ordering that the borders remain open. Article 65 of the German constitution, after all, is quite clear: "The Federal Chancellor shall determine and be responsible for the general guidelines of policy." That could be true, Seehofer responds when asked about Article 65. But he alone is authorized to issued orders to the federal police. Plus, if it came to that, he would justify his order with the need to ensure security and order in the country. "It would be a world premier if the chancellor were to order her interior minister not to do so." And if she does? "If the chancellor doesn't agree with my policies, then she should bring the coalition to an end," Seehofer says. He insists he isn't looking to topple Merkel, but the credibility of the CSU is at stake. "If we cave in now, we can start singing the requiem." Inside the Chancellery as in the Interior Ministry, legal opinions are currently being prepared on the question as to who is authorized to issue orders to the federal police should it come to that. That's how far things have already gone. It is clear to both protagonists: If Seehofer defies the will of the chancellor, she will have to fire him. And he would accept that, because there is one thing he fears more than the end of the governing coalition: the accusation that the CSU is kowtowing to the chancellor. "We can't sacrifice our credibility," he says. Seehofer is hard on himself for not having been insistent enough in the past and failing to force Merkel to change course. Now, voters in Bavaria, he fears, no longer trust the CSU to assert itself in Berlin. But it's not just about the voters. It is also about old wounds. When listening to the two, it is impossible not to think of a failed marriage in which each keeps a long list of the transgressions of the other -- though Seehofer seems much more aggrieved than Merkel. He remembers that a former CDU secretary-general under Merkel's leadership accused him of no longer being fit for a leadership position. He remembers Merkel admonishing him in a speech by saying that Islam does in fact belong to Germany. And then there is the article written by Ferda Ataman that Seehofer carries around with him in his folder. In the piece, Ataman indirectly accuses the minister of pursuing the politics of "blood and soil," a reference to the racism of the Nazis. Seehofer found it offensive that Merkel not only invited the journalist to a recent integration summit at the Chancellery, but also sat next to her at the press conference that followed. The chancellor, meanwhile, appears determined to fight the battle of her life. She knows that she stands to lose everything. But more than the end of her tenure as chancellor, she is worried about creating the impression that she has become a puppet controlled by the CSU. Merkel and her team have the feeling that they cannot back down, that she would find herself in a death spiral of concessions if she were to allow the CSU to begin turning people back at the border. What would happen if the move didn't reverse the conservatives' falling poll numbers? Would the basic right to asylum be the next to go? Or would Germany's commitment to Europe be jettisoned? Merkel is currently flying around the world at a breakneck pace: Washington, Sochi, Porto, Beijing, Shenzhen, Québec, Amman and Beirut, all interspersed with trips to Brussels. Along the way, she seems to have lost sight of the degree of panic that has become rooted in the CSU, which faces an important state election in October and, with poll numbers hovering around 40 percent, is concerned about losing its absolute majority in the Bavarian parliament. It was only during her trip to Canada for the G-7 that the Chancellor got around to reading Seehofer's "masterplan," which includes the sentence that could ultimately prove to be the undoing of the CDU-CSU alliance. "In the future, I intend to turn away asylum-seekers at the border if they are clearly the responsibility of another member state." When she read it, she thought she would be able to convince him to amend or eliminate it, but he opted for stubbornness. Now, the question as to whether refugees can be turned away at three border crossings in Bavaria will determine the fate of Merkel's governing coalition. Merkel thinks that's crazy. And Seehofer agrees. The chancellor, he said in an interview with the regional newspaper Passauer Neue Presse, is "turning Mickey Mouse into a monster." Neither Merkel nor Seehofer saw a conflict of this intensity approaching. But now that it is here, he is lighting everything on fire. For Merkel, there are few places these days where she can escape the CSU. On Thursday, Merkel was visiting the German-Jordanian University in Amman, which is one of those rare places. The students, including Syrian refugees, expressed their gratitude for the humanity shown by the chancellor despite all the resistance against her. A young woman wearing a headscarf stood up and said, "It's my dream to be like you." Merkel accepted all the homages without expressing any emotion, but here, too, she made it clear that she still holds the deep conviction that she did the right thing. When a young woman asked why the right-wing populist Alternative for Germany (AfD) has grown so strong in Germany, Merkel replied that the sheer number of refugees naturally triggered a debate in Germany, and that there are differing views on how the situation should be addressed. "I am on the side of those who say we want to be an open country," she then added. The contrast to her Bavarian friends couldn't be any sharper. And yet Merkel is still doing a lot to appease them. Merkel has promised that she will seek a "European solution" during the two weeks' time she has now bought for herself. Which sounds reasonable. But why the calls for a European solution now? Why wasn't one sought in the weeks, months and years that have passed since the peak of the refugee crisis? Merkel has been silent about why she is only now hastily and hectically shuffling her schedule around in her effort to make this happen. It is at the very least striking that it is only since Seehofer's threat that Merkel has suddenly become so enthusiastic about shaping a European response. But merely the preparations for this Sunday's mini-summit in Brussels have demonstrated to the chancellor the extent to which her authority has already shrunk on the European level. Merkel had hoped to host the meeting, to which countries like Italy, Greece, Spain and Austria have been invited, in Berlin. But some of the invitees let it be known that they would be unwilling to travel to the German capital. Many still regard the way Merkel so vehemently championed a policy of open borders in the beginning as the main culprit for the refugee chaos that many European countries have been dealing with since the autumn of 2015. So, it's not as if many of these European leaders are simply going to hop on a plane to save the chancellor and ensure she can remain in office. As a last resort, European Commission President Jean-Claude Juncker jumped in and offered to host Merkel's summit in Brussels. Preparations for the summit, though, veered toward disaster on Thursday, though, when the final declaration emerged. Hungarian President Victor Orbán railed that his and the other Visegrád countries of Eastern Europe aren't interested in common approaches or the redistribution of refugees -- all they want is greater protection of the EU's external borders. The response from Rome was of even greater significance. Prime Minister Giuseppe Conte and Merkel telephoned during her visit to Jordan on Thursday, after which he posted on Facebook that the "Cancelliera" had agreed to shelve the draft. Merkel's people would not confirm whether this is true, but the chancellor now faces an unpleasant decision. If she stands firm on the content of the declaration, which is very accommodating to the Germans, the Italians will not be on board. And without Rome's support, the summit will have been useless. And even if Merkel can persuade the Italians on Sunday to take part in the meeting of EU leaders, it's likely she can forget any concrete goals for returning refugees to the point where they entered the EU. It's a difficult predicament. If the chancellor is unable to find any agreement in the run-up to the meeting, then how does she intend to reach one at the summit? It is, of course, clear to the other EU leaders that Merkel's sudden activity has less to do with the refugees than it does with saving her chancellorship. Particularly given that current refugee numbers don't suggest any need for hasty action. By mid-June, around 40,000 people had entered the EU, about half as many as the previous year, according to the International Organization for Migration in Berlin. In 2016, there had been more than 215,000 in the same period. At the moment, most EU partners appear to be gauging the price the chancellor will be willing to pay for any concessions. Macron already demonstrated this during his visit with Merkel at Meseberg. He effortlessly obtained Merkel's approval for his eurozone budget, but also offered her the readmission of refugees in exchange. Merkel is more vulnerable to extortion right now than at any other point in her history as Germany's leader. Markus Ferber, a member of the European Parliament with the CSU, has warned the chancellor against trying to shoehorn any other issues that do not relate directly to the refugee crisis into such deals. "Debt relief for Greece, deposit guarantees for banks for Italy -- the chancellor cannot throw the Christian Democrats' core issues overboard just to reach a deal in the refugee crisis," he says. Indeed, the verbiage upon which Merkel's fate now hinges is very Teutonic. It's included in the resolution passed by the CSU executive committee on Monday: "of suitable impact." Under that wording, whatever Merkel negotiates at the European level would also have to have an effect on the influx of refugees analogous to Seehofer's plan to turn people away at the border. Ultimately, it's the CSU that will serve as the judge and jury of Merkel's efforts. CSU Secretary-General Markus Blume has already been very open about the fact that the party's aim is not that of finding the best possible solution. "The point is to send a message to the people," he says. A visit to the small town of Marktredwitz in the Franconia region of northeast Bavaria can provide a better understanding of the plight currently facing the CSU. In the national election here in September, the CSU fared terribly, with the party even falling to second place behind the AfD. Some 26 percent of voters cast their ballots for the AfD, with only 22 percent voting for the CSU. Markus Söder made a campaign appearance in the town on Tuesday, and Martin Schöffel, a member of the state parliament warmed up the crowd. Certain individuals in Germany have suspended the law, he said, and by that, he was clearly referring to the chancellor. "You have to ask yourself whether this woman is still on the right track," Schöffel added, so loudly that the shriek of feedback filled the air. It's exactly the tone Söder is fond of striking. The Bavarian governor is the driving force behind the confrontation course with Merkel. He refers to the phenomenon of refugees heading for Germany as a "kind of tourism." He also has a message for the chancellor: "The European solution cannot consist of Germany bearing the main burden in the end," he says. Söder has concluded that there are only two possibilities: Merkel must either submit to the CSU's demands or she must go. Otherwise, the CSU will stand no chance of continuing to govern on its own in the state of Bavaria. It will have no other alternative but to enter into a coalition government. Poll numbers seem to indicate that he is right. Although his personal popularity remains high in Bavaria, current polls show his party falling considerably short of a majority in the next election, while the AfD is holding steady at 13 percent. Given how widespread his view of the situation is within the CSU, Söder has been systematic in his efforts to seek confrontation with Merkel's CDU. When it comes to rejecting refugees, Söder has a majority of voters behind him, according to a survey commissioned by DER SPIEGEL. Sixty-one percent of those questioned said they support the CSU's plan. A solid 58 percent, however, are also of the opinion that Angela Merkel should remain chancellor. With his unending stream of demands, Söder is now even outdoing CSU party boss Seehofer, who had been Merkel's greatest detractor within the party thus far. In May, for example, Söder became the first CSU politician to publicly raise the question of turning refugees away at the border. Last week, he told his party's parliamentary group in the Bundestag that no false compromises could be made on the issue. Seehofer himself doesn't have the power to object, even if he wanted to. While he may be interior minister and still the leader of the CSU, he has been fighting for his political survival since the September election. Given that Seehofer doesn't hold a seat in parliament, it would be the end of his political career if Merkel were to dismiss him as minister. Alexander Dobrindt, who heads the CSU's group in the Bundestag, is also backing Söder's hardline approach. Back when Seehofer was still considering having the rejection of refugees first kick in once the upper ceiling of 200,000 asylum-seekers had been reached, Dobrindt was already one step ahead. At the beginning of June, he declared that all refugees who had already been registered in another country must be turned back at the border. He claimed this was part of Seehofer's masterplan, even though that wasn't yet true at that point in time. As recently as last week, the plan had still been to only reject those who had already filed an application for asylum in another country. That's also how Seehofer had presented it to the national group. But that was too soft for Dobrindt's and Söder's taste. On Monday, Seehofer fell into line with his fellow CSU executive committee members. The decision on whether to break from the government or to continue may be taken as early as July 1. The CDU executive committee is set is to meet at 5 p.m. at party headquarters in Berlin that day, with the national board then convening at 7 p.m. Merkel will then present details of whatever agreement she has reached with the other European partners. The CSU also intends to convene its top committee on the same day. Few close to Merkel believe she will be able to fulfill the ideal scenario of meeting all the CSU's demands. The hope is that she can at least reach some agreements that will satisfy the Bavarians that progress is being made. She would then be able to credibly state that bilateral agreements with Italy and other countries would be possible within a few weeks' time. But it's questionable whether this will appease the CSU. The party has dug itself in to such a degree that yielding in any way would appear as defeat -- and further diminish its prospects for the upcoming state election in Bavaria. Söder is not in a position to accept any compromise that might make the CSU appear to be the loser. In that event, the CSU executive would provide Seehofer with a mandate to issue orders as interior minister for turning refugees back at the border. As she has already indicated, Merkel would in turn forbid him from doing so. If the interior minister were to refuse to comply, and it is expected that he would not, the chancellor would have to submit a request for his termination with the German president. It's also probable that the other CSU ministers in Merkel's cabinet would all resign. That would mark the end of a power-sharing deal in the federal parliament between the CDU and CSU that has spanned almost 70 years. How things would proceed after that is an open question. Merkel's backers are already considering the possible scenarios that would make it possible for the chancellor to remain in office. One envisions portraying the conflict between the CDU and CSU as a struggle between a cosmopolitan, pro-Europe wing of the conservatives in opposition to a wing oriented toward nationalists like Hungary's Viktor Orbán and Italy's Matteo Salvini. From Merkel's perspective, this would have the advantage that it would provide her with plausible reasons to stay in power even if she returns from the Brussels summit without any deal. The first Merkel supporters are already going public with statements of support to bolster her. "This dispute is not about details," says Schleswig-Holstein Governor Daniel Günther. "This is about the CDU's decades-long, fundamental orientation as a pro-European party, one which we cannot wantonly abandon." CDU deputy chair Ursula von der Leyen echoes that sentiment, saying, "I am very concerned about this development." She also warns against further escalation. "We can't allow ourselves to overreach and replace the common European idea with a national club of egoists." Even if the CSU is right that we need considerable improvements on the issue of illegal migration, "the swan song to orderly multilateralism strikes right at the heart of the CDU," says von der Leyen. She argues that no major problem in the future can be solved at the national level. The consideration right now, according to sources close to Merkel, is for a party conference to be held after a possible break between the CDU and CSU at which Merkel could promote her political course. If the majority in her party backed her, she would seek to continue governing together with the current coalition partner, the SPD, and try to add the Greens to the mix. "Anyone who believes that Germany is strong enough on its own to assert our values and maintain our prosperity is wrong," says Daniel Günther. His hope is that the CDU will "adopt a clear stance in order to also lead the CSU back to this course." Another outcome of a split, though, would be that the CSU could become a national party -- and the CDU would likewise become a presence in Bavaria. Party strategists are nervously eyeing a survey by pollster Insa, which shows a national CSU party could end up with 18 percent in a federal election in the event it ends its alliance with the CDU. Insiders say the party would have no problem raising money, either, given that there are wealthy conservative fans of the CSU across the country. They point, for example, to the Hinneberg brothers in Hamburg, billionaire shipping magnates who have good contacts with Donald Trump. By becoming a national party, however, the CSU would risk losing its position as Bavaria's main political party. Nationally, it would have to position itself as the party filling the right end of the political spectrum and it would gradually lose its Bavarian identity. Meanwhile, if the CDU were to move quickly after a possible break with the CSU, it could field candidates in Bavarian state elections this fall. Volker Bouffier, the deputy head of the CDU and governor of the state of Hesse, was the first to go public with that threat. "If the CSU wages a national campaign, then the CDU will also run in Bavaria," he says. Former CDU secretary-general Ruprecht Polenz also recommended to party supporters on Facebook that the party should field candidates in the Bavarian election if the CSU abandons its alliance. Meanwhile, Christian Bäumler, vice-chair of the labor wing of the CDU, argued in an editorial with the business daily Handelsblatt that the party should already be making preparations to establish a new state chapter in order to participate in the Bavarian election. "That might also show the CSU that elections in Bavaria are also won at the center of society and not on the right-wing fringe." There is no scenario that the CSU fears more. This wouldn't be the first time the CDU considered planting its flag in Bavaria. Back in 1976, another time when the CSU was threatening to end the partnership, the CDU made concrete preparations to create a state chapter. Kurt Biedenkopf, the CDU's secretary-general at the time, even assigned regions to the youth wing of its party for the establishment of local chapters in the state and even took the step of reserving restaurants and pubs for related events. Michael Kosmala is one person who is prepared to be at the forefront of establishing the CDU in Bavaria. The 59-year-old management expert from Amberg, who has worked for years for the Seidl Foundation, a CSU-aligned think tank, attempted once before to establish a Bavarian CDU back 2016, which he dubbed the "CDSU." "Merkel's refugee policy was a great humanitarian gesture," says Kosmala, "and Seehofer is now destroying everything." Kosmala explains that he tried to warn Merkel about Seehofer in 2015 and offered his support for a Bavarian chapter of the CDU. But when he got started, he promptly received a legal letter from CDU Secretary-General Peter Tauber forbidding him from using the letters C, D and U for his project. "Now, Merkel is being slaughtered by the man she was trying to protect at the time," Kosmala says of Seehofer. But if a chasm does now develop between the CSU and the CDU, Kosmala says he's ready to jump in to help set the party set up shop in Bavaria. He wouldn't be alone either. Even her closest confidants have no idea what Merkel will really do if it does come to a breach. It's possible she would resign herself after dismissing Seehofer, a move that would likely result in a power struggle within the CDU. Wolfgang Schäuble, currently president of the Bundestag, is considered a possible candidate for transition chancellor, and CDU Secretary-General Annegret Kramp-Karrenbauer could also be a candidate to take over as party chair. Economics Minister Peter Altmaier's name has also been thrown into the ring. But snap elections would likely be inevitable. To that end, the CDU's junior government coalition partner, the Social Democrats, have already begun making preliminary preparations for that scenario. On Thursday and Friday of last week and then again on Monday, SPD Secretary-General Lars Klingbeil headed up three secret meetings. The issue: the possibility of a new parliamentary election and the question of how to quickly organize a campaign. Those sitting at the table included SPD Executive Director Thorben Albrecht and departmental heads from the national party headquarters, among others. They discussed possible dates for the election and the associated deadlines for drawing up candidate lists and drafting political platforms. They identified early September as the earliest possible date for a new election. The Social Democrats have likewise already begun looking for suitable venues for a special party conference. Officials in the severely battered party are determined not to get caught off guard again as they were at the end of last year. When talks for a so-called "Jamaica" coalition between the Christian Democrats (CDU/CSU), the business-friendly Free Democrats and the Green Party collapsed, the SPD was anything but prepared for the possibility of snap elections. But even if the breakup of the CDU-CSU partnership can still be prevented and early elections averted, Merkel can count on one thing -- it's unlikely that there are any golden days left in her career as chancellor. As long as she remains in office, the CSU will be unwilling to make peace with her. And in contrast to the grand coalition governments that have preceded it, the deeply insecure SPD will be largely concerned with its own well-being. It has often been said, not unjustly, that Helmut Kohl's final years at Germany's helm were heavy as lead. The ballast could get even heavier for Merkel. And it could become even more obvious that Merkel, despite her good intentions 20 years ago, has already missed the chance to find the right time to exit the political stage. Three years ago it sometimes felt that one of the most wildly contrarian opinions one could hold about the stock market was that it wasn’t staggeringly overvalued and primed for a crash. Voices as varied as Donald Trump and the Yale University market scholar Robert Shiller warned of bubbles inflating in financial markets, with the latter observing how “It looks to me a bit like a bubble again”, and how “many people are re-evaluating their exposure to the stock market”. Since then, with hindsight, they both were wrong, or — if one wishes to view their prognostications more charitably — simply too early. The US S&P 500 index has risen 34 per cent from the start of 2015 and after entering the White House Mr Trump instead took to tweetingabout rising stock prices as if they were a barometer of his political success, rather than a warning of growing over-exuberance. And in the past three years there has been a notable shift in the tone of financial commentary. With US equities up by more than a third the once plentiful number of financial commentators convinced markets are going to tumble appears to have shrunk. While such measures of sentiment are fuzzy, anecdotal and imprecise, it is this gradual disappearance of outspoken bears that should be noted by anyone thinking of deploying capital into financial assets today. Media commentary, which invariably reflects the opinions of influential market participants, appears to be becoming steadily less bearish the further we move away from the last crisis. My colleagues on FT Alphaville have pointed out that the number of articles mentioning the term “market bubble” have fallen sharply, with mentions in 2017 sightly higher than the year before, but lower than every year since 2013. Media mentions of this term, according to a Factiva search, were also lower than the years between 2002 and 2008. Professional investors meanwhile appear to be engaging in buying behaviour apparently contradictory to their views on the market. The closely followed Bank of America Merrill Lynch monthly fund manager survey, which polls investors managing $541bn of assets, showed in June that equity investors had returned to being overweight US equities for the first time in 15 months. This is in spite of US stocks being the most richly valued of all developed markets. At the same time the respondents said they were most overweight global technology shares, while simultaneously believing that being long large US and Asian technology shares was the “most crowded”, and therefore dangerous, trade at the moment. On top of all this a growing number of commentators have moved from warning of overvaluation to simply acknowledging markets are expensive, and encouraging their followers to remain invested and run away just before things get ugly. This is at precisely the time when higher interest rates in the United States will probably diminish the appeal of stocks to investors previously desperate for yield. An example of this thought process is Jeremy Grantham of the US fund house GMO, who at the start of this year argued that “we can be as certain as we ever get in stock market analysis that the current price is exceptionally high”. Mr Grantham concludes that “a melt-up or end-phase of a bubble within the next six months to two years is likely, ie, over 50 per cent,” and how one should be “ready to reduce equity exposure” when “either the psychological signs become extreme, or when, after further considerable gain, the market convincingly stumbles”. None of this amounts to a dire “get the hell out while you still can warning” in spite of his observation about extreme overvaluation, and instead boils down to a strategy of trying to rush for the exits just before everyone else does. Common sense dictates that if you believe something is expensive then you don’t go out and buy it, and if you already own it, but believe it is so expensive that it has risen to a price far more than it is really worth, then you sell. Instead of twisting themselves into logical knots over “melt-ups” and trying to time when the markets will finally turn, sensible investors should simply refuse to play if they feel they are not being offered the right rewards to compensate them for buying or holding financial assets today. A prolonged market rally has left many “bears” fatigued, with those who acted on their fears having suffered years of poor performance. Now it appears many are throwing in the towel just at a time when real warning signs of over-exuberance in parts of the market are becoming ever more apparent. Instead of embracing the folly of being the “fully invested bear”, holding assets they believe are overvalued, it would be more prudent to reduce market exposure and simply hold more cash than normal. IN his book about the use of language, “The King’s English”, Kingsley Amis describes a tug-of-war. On one side are “berks”, careless and coarse, who would destroy the language by polluting it. On the other side are priggish “wankers”, who would destroy it by sterilisation. Apple hit record highs on June 20th. Fill your boots is the attitude of coarse stockmarket berks. FAANG makes more sense than stocks in dying industries. 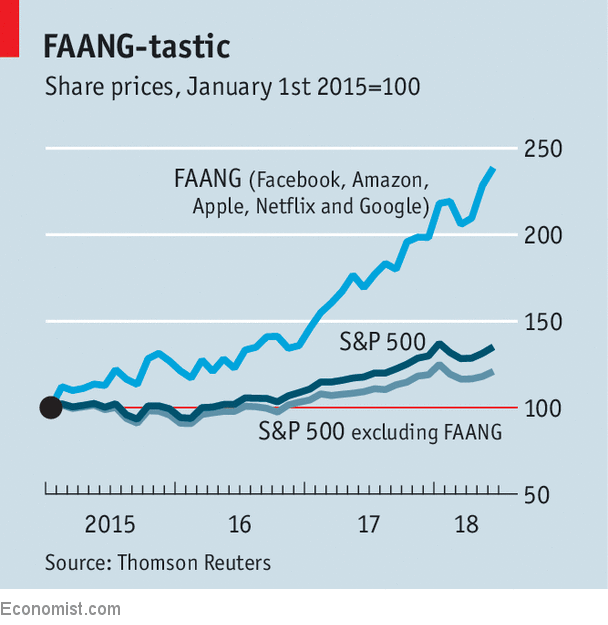 For the prigs, the mania for FAANG stocks is as abhorrent as a split infinitive. The high-minded investor stands apart from the herd. In matters of grammar, the unsure often follow the sticklers. They at least have rules. But they are often too rigid. Stockmarket sticklers can similarly lead others astray. For most investors, it is often a mistake to shun individual stocks simply because other people are keen on them. A recent paper* by Hendrik Bessembinder of Arizona State University explains why. 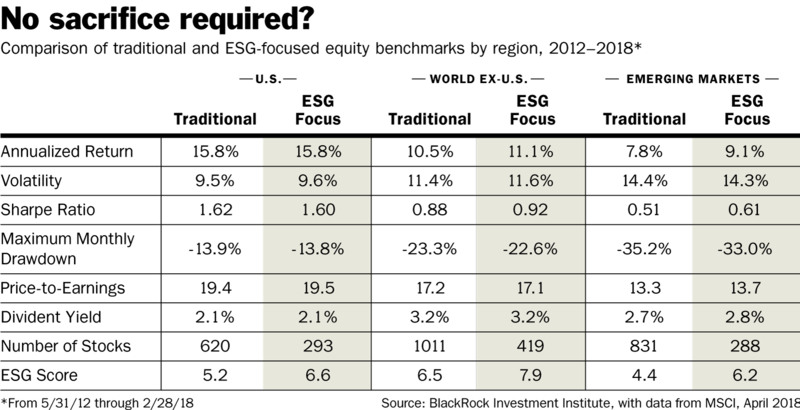 Since 1926, most stockmarket returns in America have come from a tiny fraction of shares. Just five stocks (Apple, ExxonMobil, Microsoft, GE and IBM) accounted for a tenth of all the wealth created for shareholders between 1926 and 2016. The top 50 stocks account for two-fifths of the total. More than half the 25,000 or so stocks listed in America in the past 90 years proved to be worse investments than Treasury bills. The sway that FAANG stocks have held recently is not out of the ordinary. A new report by analysts at Macquarie, a bank, find that the clout of leading stocks in the S&P 500 has often been higher in the past. Mr Bessembinder’s results complement the verdict of another strain of research, which says that most stock returns are made on relatively few trading days. Just as it is important not to be out of the market on those days, it is important not to omit key stocks from your portfolio. To understand why, it helps to think of investing as a game of chance. Imagine there is an equal chance that a stock will rise or fall by 50% each year. A $100 stock that goes up 50% in year one would be worth $150; if it falls by 50% in year two, it is worth $75, less than when the game started. In contrast, a lucky stock that rises by 50% in two successive rounds is worth $225. After many rounds, most stocks lose money. But a few stocks make a lot of it. It would be foolish, though, to take this as cue to invest solely in FAANG. There is no guarantee that today’s winners will still be winners tomorrow. Sticklers will rightly point out that if you overpay for a stream of earnings, however good the company is, you cannot hope to make money from investing. Are modish stocks a trap, then? It might seem so. The “Nifty Fifty”, a group of popular (and thus expensive) stocks in the late 1960s, fell hardest in the bear market of the 1970s. Then again, many of them—GE, IBM, Johnson & Johnson, Coca Cola and so on—are also on Mr Bessembinder’s list of the 50 biggest wealth creators. To have bought and sold them at the right moments required deft timing. Wise investors who do not know how to pick tomorrow’s winners, or how to time markets, opt to hold a broad index of stocks passively. Even this approach has drawbacks. Bull markets tend to narrow, says Robert Buckland, of Citigroup, because of rising pressure on fund managers to buy the recent winners. “A bubble is what I get fired for not owning,” one told Mr Buckland. The stockmarket index thus tilts ever more heavily towards a few shares. And these may not turn out to be the big winners in the long term. The best defence is to diversify broadly across markets and assets as well as stocks. That includes bonds and cash, of course. Another way to offset a concentration of a certain kind of stock is to invest in equity markets outside America. The euro zone’s indices, for instance, have a far lower weight in technology companies. You won’t avoid a crash in modish stocks, should one occur. But at least you will be able to survive it. Such a middle-of-the-road approach might appear to lack personality. It is more distinctive to be a stickler for convention or a flouter of it. Yet it is the right approach—and it works for language, too. English survives and prospers because most of its users are neither style sticklers nor utterly slapdash. BlackRock’s Larry Fink: The New Conscience of Wall Street? Most investors—and virtually all of the industry’s biggest names—emphasize the importance of long-term thinking, without doing much about it. 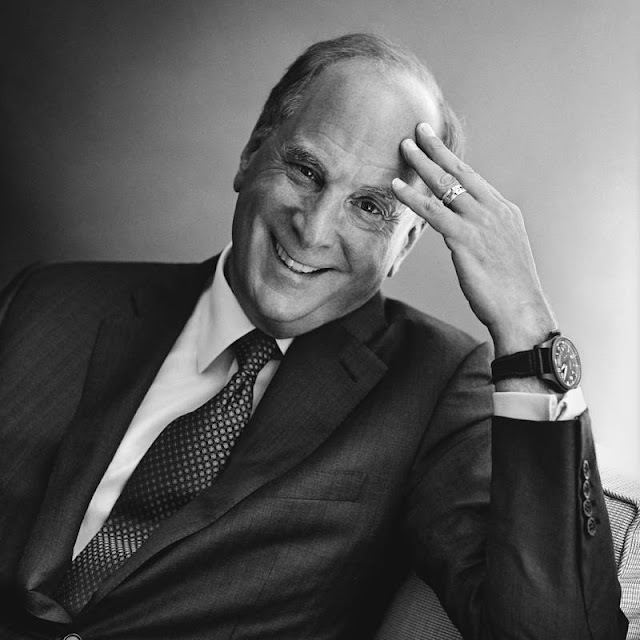 Larry Fink, CEO of BlackRock, is different. For years, he has been urging Wall Street to look toward the next decade instead of the next quarter. He has regularly and publicly attributed many of the economy’s ills—including poor adaptation to technological change and the pending retirement crisis—to an obsession with short-term returns. And he has been willing, in most cases, to put his company’s investment dollars—and his own reputation—where his mouth is. Fink’s words amounted to a Rorschach test for a polarized nation. As debates rage over immigration, climate change, guns, income inequality, and other issues, even considering their economic impact on a company looks like a political statement. Yet Corporate America and Wall Street are increasingly doing so. An op-ed article in The Wall Street Journal—a rebuttal to the letter, really—dismissed Fink as “the latest to evangelize this fad.” Sam Zell, the billionaire real estate investor, called Fink “extraordinarily hypocritical.” Activist investor Nelson Peltz, meanwhile, provided a ringing endorsement: The attributes that Fink encourages, Peltz said, are necessary characteristics of quality companies. Fink’s argument is rooted in the bottom line, and supported by a growing body of academic research. It also uses the language introduced by sustainable investors, many of whom take into account environmental, social, and governance, or ESG, factors, even though Fink would never describe BlackRock as an ESG investor. When investors consider ESG factors, studies indicate, they are identifying sound corporate behavior that will help keep capital safe. In the long term, stocks from companies that heed these issues are likely to outperform the broad market, research shows, and in the short term, this kind of investing can reduce risk: Analysts who rate companies on ESG factors warned investors about Equifax (EFX), Valeant Pharmaceuticals International (VRX), and Volkswagen (VOW.Germany) before those stocks blew up, because they fell short on multiple sustainability criteria. Less than a month after The Letter was published, a gunman fired more than 100 bullets at Marjory Stoneman Douglas High School in Parkland, Fla., killing 17 people. BlackRock’s response was swift and unusually decisive: The $6.3 trillion money manager and parent of the $1.8 trillion iShares exchange-traded-fund lineup announced that it would create two new ETFs that didn’t include gun makers. “We are not inserting our social values here,” Fink says. BlackRock didn’t divest itself of gun stocks; it simply offered an investment option for clients who wanted to avoid them. To hear Fink tell it, short-termism is a scourge of corporate thinking, and is encouraged by the financial media. “Short-termism has been captured by the tick-tock of reporting,” he says. “That’s why I’m trying to create a louder dialogue about long-termism, or the idea that a long-term Warren Buffett-like process will lead to greater sustainable returns.” Buffett and JPMorgan Chase (JPM) CEO Jamie Dimon, who also advocate a long-term view, recently called for companies to drop quarterly profit forecasts. Among the many ills attributable to short-term thinking, Fink argues, is an approaching retirement crisis. The focus on quarterly results by Corporate America and Wall Street can fuel volatility, striking fear in individuals and discouraging them from investing for the long haul. “Many people pulled out of the market in 2008 and 2009 and haven’t returned,” Fink says, and therefore missed out on the great bull market that followed—and an opportunity to bolster their retirement assets. Fink usually begins work on his letter late in August, when he’s fly-fishing with his family. Ideas pop up “during casting,” he says. Back at the office, he shares about 10 themes with his writing staff. First among equals is the theme of “fiduciary responsibility,” he says; second is “profitability,” particularly “sustainable profitability.” He had already addressed climate change in previous letters, but there was some urgency in 2017: In June, the Trump administration had withdrawn the U.S. from the Paris climate accord. Separately, BlackRock had just signed on to the Investment Stewardship Group of large U.S.-based institutional investors and global asset managers. BlackRock doesn’t always agree with groups that take on company management. In the year ended in June 2017, it voted in favor of management proposals in the U.S. 92% of the time, and for shareholder proposals, 12%, according to WorldQuant. In October, BlackRock hired Brian Deese, a 40-year-old who had advised the Obama administration on climate and energy policy, to run BlackRock's overall sustainability efforts. Not long after The Letter came the Parkland shooting. “They acted more decisively than any asset manager, to say we’re definitely going to be engaging with companies,” says Jon Hale, global head of Sustainable Investing Research at Morningstar. BlackRock gave institutional clients the option to exclude gun manufacturers and retailers. It launched a new ESG exchange-traded fund and a small-cap ETF that excluded gun-related shares. This is relatively new ground for BlackRock, which has a long and successful investment record. Since its 1999 initial public offering, its stock has returned almost 24% a year, versus 6% for the S&P 500. At the end of 2017, BlackRock had $500 billion in assets that used exclusionary screens (like eliminating gun makers) or other environmental, social, and governance tools, but just $50 billion in accounts run explicitly according to ESG-related principles. Deese aims to increase that. BlackRock is developing ESG target-date funds for retirement plans, and has developed three new emerging market fixed-income indexes with JPMorgan, all with ESG principles. “There is an enormous increase in client desire to have conversations about ESG issues,” Deese says. “Over the past year, it has really reached a crescendo in the U.S.” Among other things, BlackRock can take what it learns from engaging with companies on sustainable topics to help create scores and other metrics it can then use in risk management and investing. The company is already a leader in risk management, thanks to its Aladdin software, which crawls through a client’s portfolio and identifies every source of risk. BlackRock, for instance, is mapping near-term climate risks that could affect municipal bonds and real estate. The project has obvious implications for all sorts of physical assets owned by publicly traded companies. “We are going to figure out how to scale it across the investment platform as quickly as we can,” says Deese. Fink, using the language of ESG investing, say investors should focus on climate change not because of personal political views but because they would be failing in their fiduciary duty if they don’t consider it when analyzing investments. Fink is a board member of the Nature Conservancy and a major donor to the Democratic Party; he was reportedly on Hillary Clinton’s short list for Treasury secretary. He is also an avid collector of American folk art, notably weather vanes. Few question his skill at seeing where the wind is blowing. He founded BlackRock as an institutional bond shop just a few years into the 35-year-long bond bull market. He bought Merrill Lynch Investment Managers when he needed global distribution and a retail clientele. He purchased iShares just as exchange-traded funds came into vogue. A tireless globe-trotter, he gathers information from meetings with world leaders and other people of influence. Recently, he and other CEOs met with the pope to discuss climate change. Before The Letter, critics were pointing out what they saw as inconsistencies in BlackRock’s behavior. Consider the matter of J.B. Hunt Transport Services (JBHT). In 2016, $2.5 billion Trillium Asset Management, a vocal sustainable investor, filed a proposal urging the logistics company to adopt a policy explicitly prohibiting discrimination based on sexual orientation, gender identity, or gender expression. Hunt, which operates in 48 states, had denied this was needed, but had complained about difficulty in recruiting. “Gee, they could do better” with a new policy, recalls Matt Patsky, Trillium’s CEO. The shareholder proposal passed and J.B. Hunt expanded its protections for employees. BlackRock, despite having its own policy prohibiting discrimination, voted against the demand, without giving an explanation. Not long afterward, BlackRock signed on with a coalition led by Trillium and the New York City comptroller to oppose a Texas bill regulating transgender access to public bathrooms, part of a series of anti-LGBT measures by that state’s legislature. When BlackRock signed, “it suddenly became acceptable,” says Patsky. State Street (STT) and T. Rowe Price Group (TROW) followed. Trillium kept the pressure on BlackRock. A year later, BlackRock released engagement principles that included human capital, prioritizing diversity as well as other matters important to stewardship. In May 2017, came a momentous Exxon Mobil (XOM) vote. Big pension plans wanted Exxon to report how its business would be affected if measures to curb global warming reduced demand for oil. BlackRock, which owns 6% of Exxon’s stock, was among the 62% of voters that supported the proposal, which the energy giant opposed. The investment firm aims to minimize the environmental impact of its own energy usage. By the end of this year, 100% of its U.S. facilities will be powered by renewable power. For its part, Exxon responded to The Letter with a letter of its own to Fink, outlining the company’s contributions to society. “We mutually benefit from ongoing engagement which has demonstrated our aligned values, including the importance of a long-term perspective,” wrote CEO Darren Woods. Fink had been increasing the pressure on corporate leaders in his letters. In 2015, as interest rates perched just above zero, he wrote that returning excess capital to investors sends a “discouraging message” about a company’s resource management. He asked companies to articulate a long-term strategy that would help shareholders understand their short-term decisions. In his 2016 letter, Fink thrust sustainability into the spotlight. “Generating sustainable returns over time requires a sharper focus, not only on governance, but also on environmental and social factors facing companies today,” he wrote. Companies that handled ESG well usually had “excellent” management, he contended. 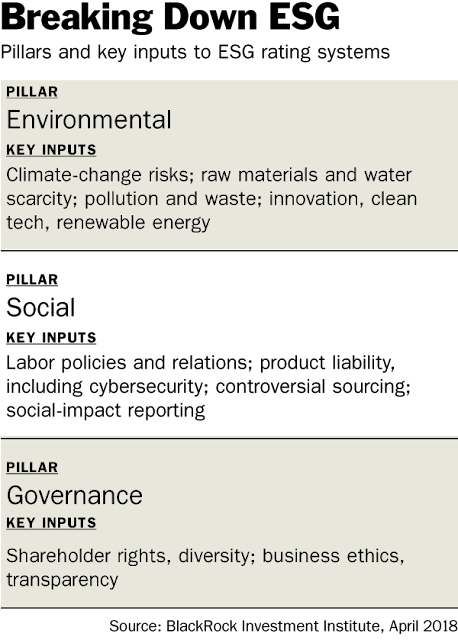 In 2017, with inflation rising and globalization under threat, Fink wrote that BlackRock was focused on ensuring “board accountability for creating long-term value.” He added that addressing environmental, social, and governance factors could help. Long before Larry Fink had the leverage to change Wall Street, investors and activists were linking their causes to capital. 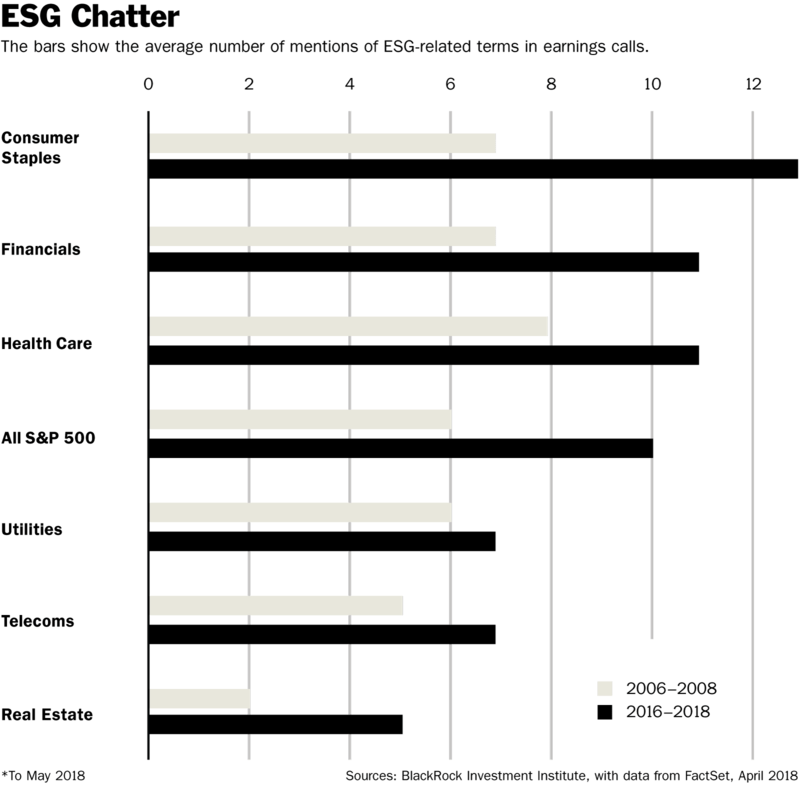 In the 1960s, the Vietnam War prompted some to drop arms-related investments. Then came divestment from South Africa to protest apartheid. Some funds began eliminating “sin stocks” issued by tobacco merchants, fossil-fuel producers, and the like. As climate change became an issue, European political figures, nonprofit policy organizations, and big pension funds took an active interest. Having moved into Europe through the Merrill Lynch acquisition, BlackRock was aware that ESG was rapidly becoming the norm. “In Europe, you cannot be an asset manager and not embrace ESG,” says Roelfien Kuijpers of DWS Group. 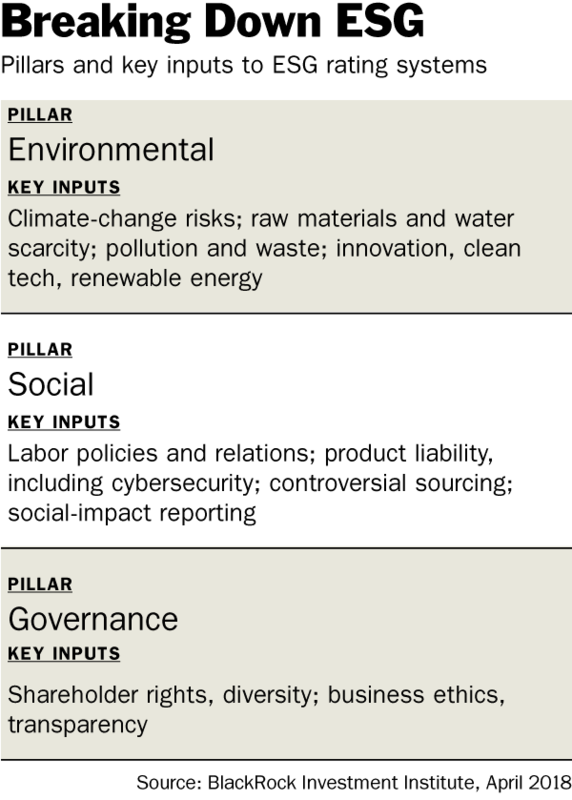 BlackRock’s call for sustainability and social purpose could be seen by some as problematic. Its index funds include Nike (NKE, subject of some sexual-misconduct accusations); Philip Morris (PM, manufacturer of cigarettes); and Coca-Cola and PepsiCo (KO and PEP, both heavy users of sugar, which many regard as detrimental to health). Last month, a group of antigun protesters rallied outside BlackRock’s annual meeting to protest its continued holding of Sturm Ruger (RGR), maker of the assault rifle that the Parkland shooter used on former classmates. BlackRock is Sturm Ruger’s largest investor because the gun manufacturer is in indexes on which some of the firm’s ETFs are based. And BlackRock itself is a work in progress. This year, it reported that women in its United Kingdom business earn 28% less per hour than their male colleagues, and that their median bonus was 45% lower. Women also made up just 28% of BlackRock’s board. BlackRock says it’s working on the issues: 53% of the 390 analyst trainees it hired in 2017 were women, and the group was ethnically diverse. 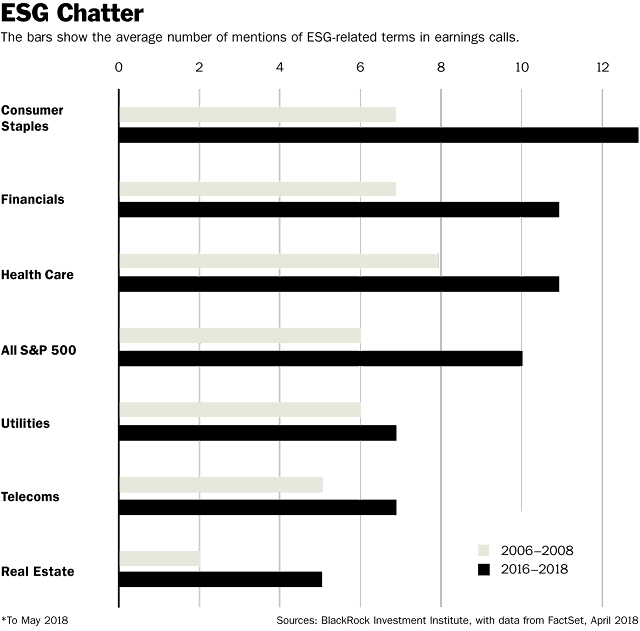 BlackRock’s competitors, however small, view it as insincere to point out the insincerity of promoting the language of sustainability as best practice while using an ESG lens on only a small part of the business. BlackRock’s full-throated support is taking the ESG industry from the minors to the big leagues. BlackRock’s involvement, says John Streur, CEO of Calvert Research & Management, a responsible-investment firm, suggests the industry will become more standardized around how companies measure, report, and define ESG data. (For an ESG glossary, see page S13.) In addition to a fat wallet, BlackRock has enormous analytical abilities.